Friends of Catoosa Public Library | The mission of the Friends of the Catoosa Public Library is to strengthen our local library, to encourage our community by providing opportunities for increased knowledge, and to open doorways to the world for future generations. The mission of the Friends of the Catoosa Public Library is to strengthen our local library, to encourage our community by providing opportunities for increased knowledge, and to open doorways to the world for future generations. Library…What does it mean to you? 2018 Whale of a Tale Sale is On! It will be held from 10am to 3pm on October 27, 2018 at the Catoosa Community Center. We are currently seeking a variety of vendors to fill our sale. Please contact us at catoosalibraryfriends@gmail.com if you need more information. 2017 Whale of a Tale Sale is On! It will be held from 10am to 4pm on October 28, 2017 at the Catoosa Community Center. We are currently seeking a variety of vendors to fill our sale. WOW! 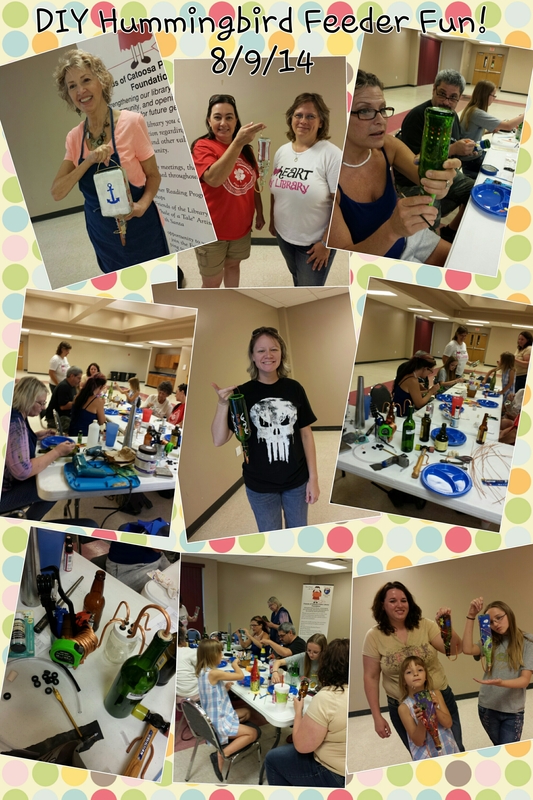 What a great time we had today at our first ever hummingbird feeder workshop! Everyone left with a smile and their own feeder; armed with new knowledge of hummingbird migration and behavior, ready to enjoy countless entertaining hours watching the hummingbirds at the feeders plus the added benefit of reduced insect population. Thanks to all that came out and made this such a great success! Enjoy! Book Club & Craft + Movie Night = FUN Family Night! What fun was had! This past Thursday was our Family Night! This month we kicked off story and craft time before the movie! The story and craft each month will be as close to the movie theme as possible…this month it was Pirates!!!!! 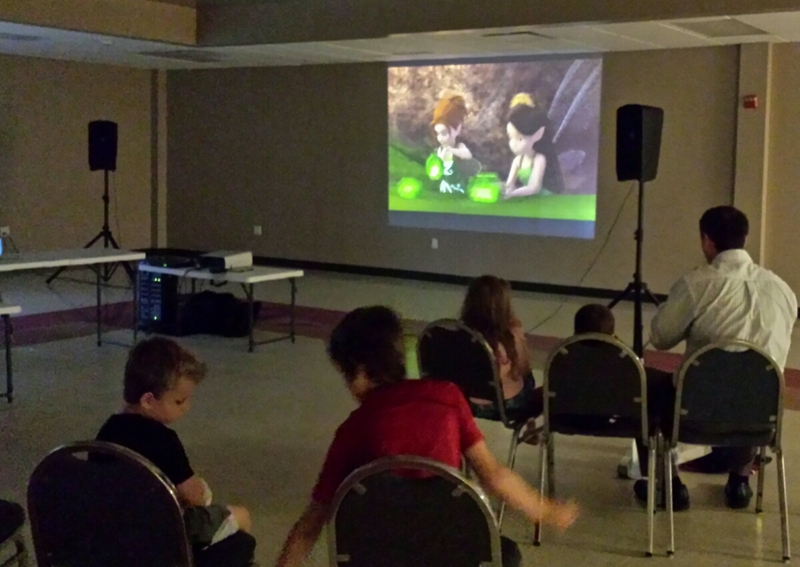 This month's movie feature was The Pirate Fairy. Movie Night is on the third Thursday of each month. We hope to see you joining us! Again, the movie night title will be included in this eNewsletter each month! Thank you all! We appreciate you! 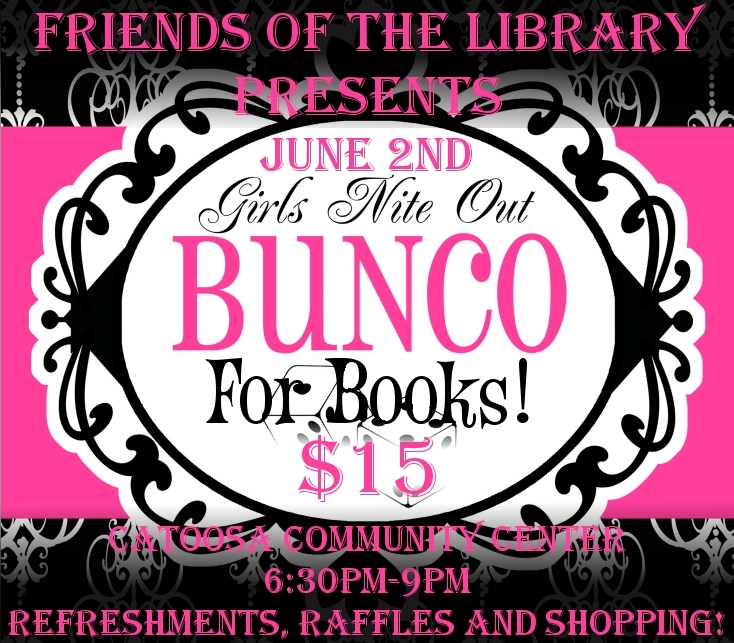 Bunco for Books – Great Fun for a Cause! What a great time we had tonight! Many thanks to all who made it out to play and support the library! Tonight’s donations took a good size chunk out of our movie night licensing costs for 2015 – THANK YOU ALL! Join us for a night of social mingling at its best! 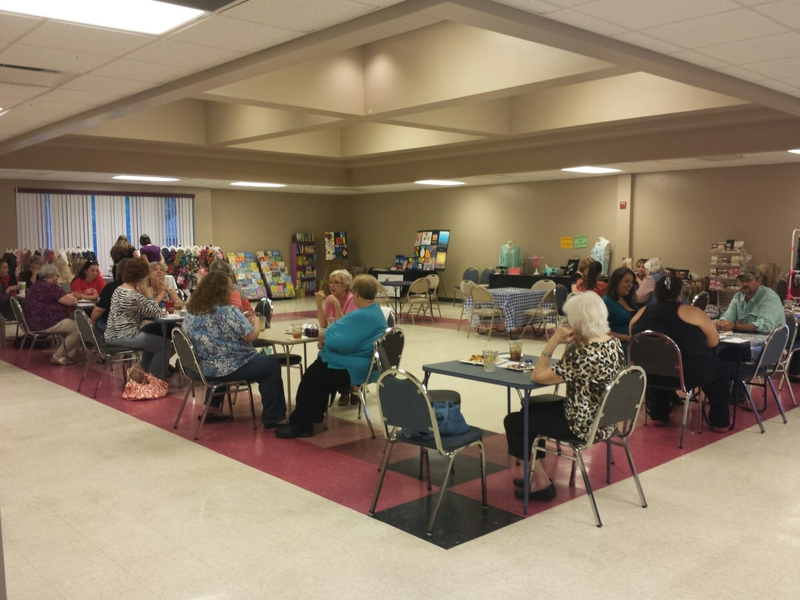 Bunco, Snacks, Socializing and Shopping! Yes, you read that right — Bunco AND SHOPPING! is excited to bring this unique experience to the Catoosa Community! 24 tables – 96 players!!! you are NOT gonna wanna miss this! Raffle drawings will also be held throughout the event, so, don’t forget to bring some cash for raffle tickets! Sign up or renew your Friends of the Library membership – get a free raffle ticket!!! * Limited to first 15. Let us know so we can put your name on the list. Tickets may be acquired via our Eventbrite page by clicking HERE. And, as always, thank you for your continued support! Friends of Catoosa Public Library Foundation is a Federally recognized 501c3 entity. All donations toward tickets, raffle tickets and vendor booth fees are tax deductible charitable contributions. ALL BOOTHS ARE FILLED — THANK YOU!!! Vendor booth fees are $15 for 4 1/2′ x 2′ table space (plus chair, provided by venue). Have Yourself a Crafty Little Christmas [and] Breakfast with Santa! The Friends of Catoosa Public Library, in partnership with Catoosa Masonic Lodge, are proud to re-launch “Have Yourself a Crafty Little Christmas” Sale at this year’s Annual Breakfast with Santa! “Have Yourself a Crafty Little Christmas” Sale provides Breakfast with Santa goers the opportunity to check off their Christmas shopping list with purchases from local artists, crafters and direct sales vendors! Santa will be there ready for pictures with the kiddos, too! $5 – Pancake breakfast with all the trimmings. Applications are now Closed – All Spaces are Filled! Printable PDF application Invitation to Exhibit Vendor Application. Online application provided directly below (preferred). If form below does not load properly, stand alone form can be found by clicking “here“.